Before Commoner & Co. there was Prep & Pastry. With one location in Tucson, AZ on N. Campbell Ave. Prep & Pastry opened in 2014. It became the go to place for a great breakfast. As well as brunch and lunch. With strong ratings and long waits for a table, a second location opened on Grant Road in 2016. Many believe Prep & Pastry serves the best breakfast in Tucson. And building on that success, the owners opened Commoner & Co. in 2016. This venue brings happy hour and dinner to the east side. But wait. Prep & Pastry is more than breakfast. Its breakfast, brunch and lunch. And to make it more unique, they serve booze. This may not be the place to stop in at on the way to work. While a mimosa with breakfast on the weekend may be perfect, it may not go well with the boss. The owners believe food should be beautiful. Be prepared to spend some time working through the menu. So many options, so little time. All the meals are from scratch. If you are watching your calorie intake – forget it! The pastries are – OMG – out of this world! If there is a downside to going to Prep & Pastry, its the wait. Sometimes over an hour. But a mimosa or two will make the time pass. Unfortunately, along with the line at the restaurant is parking. Finding a parking spot can be a challenge. And that taste mimosa at breakfast or brunch may not be helpful for the drive home. The reviews for Prep & Pastry are 4.5/5.0. But the reviews also prove – You can please some of the people some of the time. And most of the people most of the time. But you can’t please all of the people all for the time. 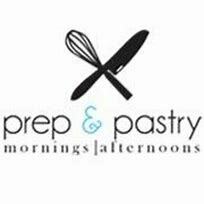 Give Prep & Pastry a try. Find out if it meets your expectations. Tucson has lots of great restaurants. From casual dining to find cuisine. Check them out – HERE!